British Beatles Fan Club: PETE BEST OF THE BEATLES will debut at the New Theatre in Temple Bar, Dublin, from February 8th -13th. 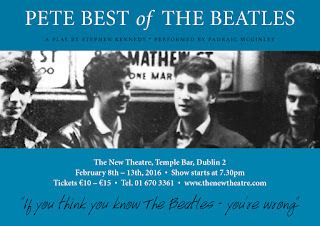 PETE BEST OF THE BEATLES will debut at the New Theatre in Temple Bar, Dublin, from February 8th -13th. Stephen Kennedy, Director of the Dublin Beatles Festival, has written and is directing a new play about Pete Best that will debut in Dublin in early February. Yapperhead Theatre Company are putting the play on at the New Theatre. 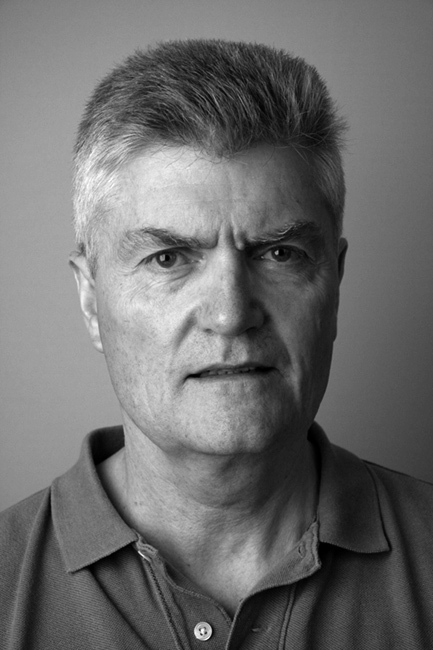 Dublin actor Padraic McGinley is playing the part of Pete Best and he is superb in the role. Tickets are €10-€15 and can be booked by going to www.thenewtheatre.com. PETE BEST OF THE BEATLES is Stephen’s follow-up play to JOHN LENNON’S LAST DAY which had sold-out runs in Dublin, Belfast and Berlin – as well as being broadcast on BBC Radio 2 last October to mark what would have been John Lennon’s 75th birthday. He has also written DEATH AND THE BEATLES FAN and LENNON v McCARTNEY. The latter play was performed on the Adelphi’s main stage at Liverpool’s International Beatleweek and went on to be made into a short film by Eddie Jackson. Wish I could be there for this! Not knowing how this play will portray Pete, I would still love to see it. I'm a big fan of Pete Best. In my opinion, he will always be the original drummer for the Beatles, and was with them in the "trenches" as they honed their skills and tightened up as a band. AND he's been a stand up person after being dealt such crushing disappointment. Love the guy!